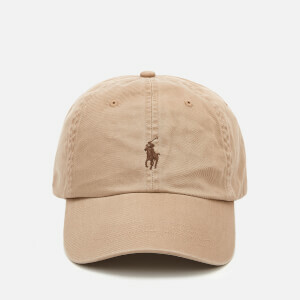 Men’s baseball cap from Polo Ralph Lauren. Crafted from pure cotton, the hat comprises a classic six panel construction, adjustable metal buckle to the back and a knitted interior band for comfort. The cap is complete with stitched ventilation grommets, the signature pony logo embroidered to the front and additional branding stitched to the reverse.